St. Barth’s High Season officially ended on April 15, and what a season it was! It’s always exciting, with stunning yachts in the harbor, boutiques filled with the latest European fashions and all that world-class dining under the stars. However, seeing this all “happen” so soon after Irma was especially thrilling. The island’s signature French joie de vivre was combined with a sense of determination. We nicknamed St. Barth “the little island that could.” Vacations—and life —are happily going on as before. Last month, the biannual AG2R Transat La Mondiale began its race in Concarneau, France, on April 22, and the first boat arrived at St. Barth on May 11. What a feat! Read all about it in my blog. P.S. Subscribe to Peg’s Blog to keep up with all the latest news. 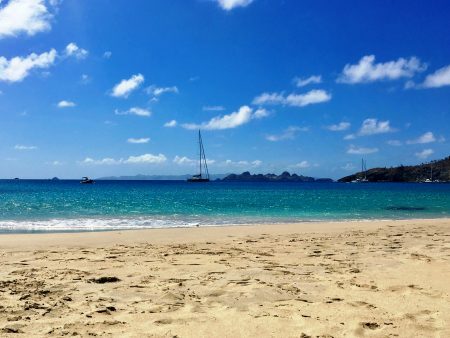 First-time visitors to St. Barth love to explore the island, including, of course, all our gorgeous beaches. 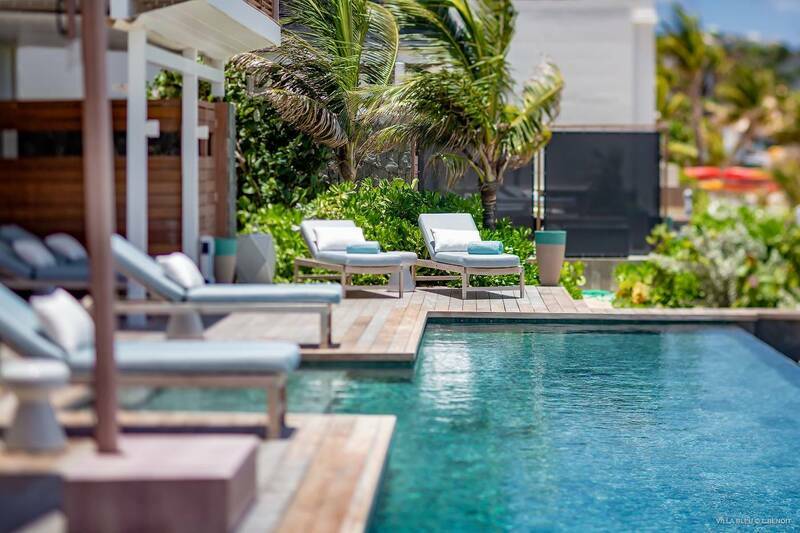 While some of the island's more famous hotels are still closed due to damage from hurricanes Irma and Maria (Hotel Le Toiny, Le Guanahani), about 60% of St. Barts' villas have reopened, with some new additions. The five-star Le Barthélemy Hotel & Spa just introduced two new villas, Villa Bleu and Villa Aqua, which each offer six bedrooms, a private pool and a prime beachfront setting. Note from us – we’d be happy to book Villa Aqua or Villa Bleu for you. 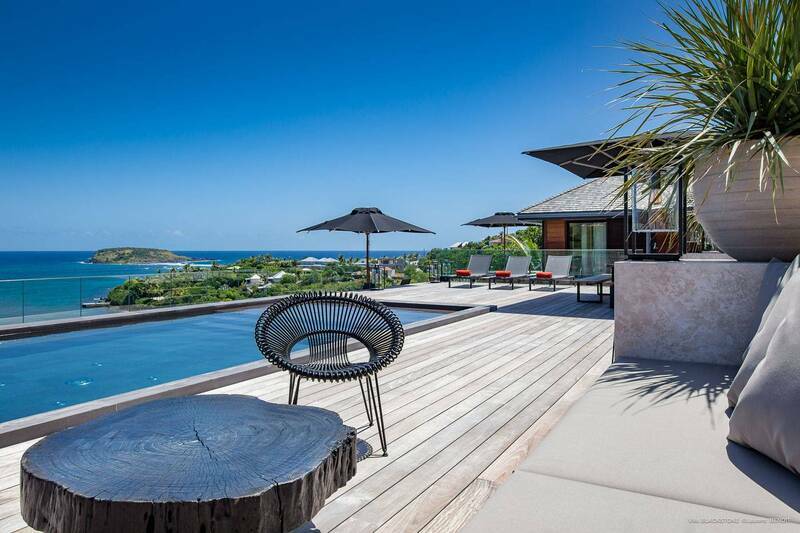 St. Barth Properties unveiled two new high-end villas, Villa Golden and Villa Neo. The former counts a heated infinity pool among its highlights, while the latter boasts a hammam, or steam bath. Both offer additional perks, too, such as waking up to French pastries. Vice President Tom Smyth is just back from Mexico City, where he attended Sotheby’s Caribbean and Latin America Networking Event and the grand opening of the Mexico City Sotheby’s office. We are proud to be Sotheby’s exclusive representative on St. Barth, as we know it helps us better serve our clients. Aptly named Villa Belle Vue, this three bedroom villa boasts a spectacular view of the Baie de St. Jean, St. Maarten and St. Barth’s verdant hillsides. Seasonal sunsets are glorious. It is solidly built on over a half-acre of land in a quiet area of St. Jean. The main building has an open floor plan encompassing living and dining areas and includes a master bedroom with an en suite marble bath. There is a guest bath, and a dining terrace is adjacent to the kitchen. The other two bedrooms, also with en suite marble baths, are in separate pavilions. A sunny terrace overlooks the infinity swimming pool. A bonus room in the basement could be used as a playroom, gym or office. Parking spaces and a garage are accessed by a private driveway. 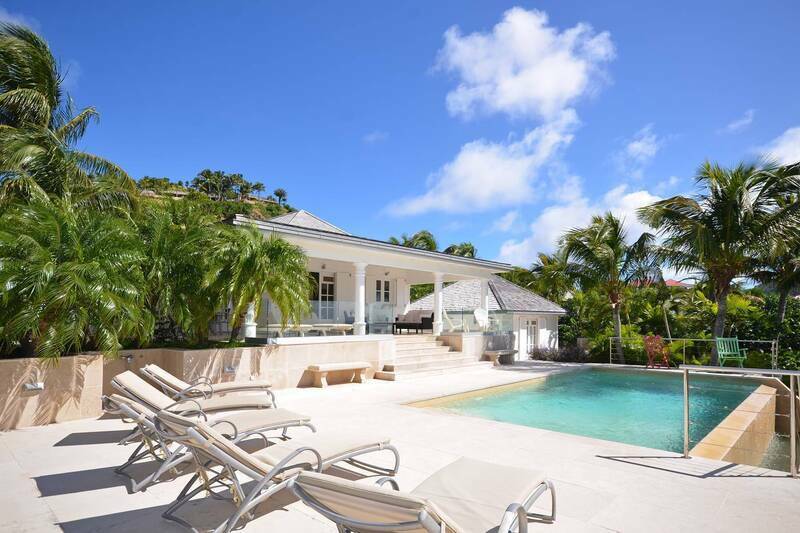 Gros Islets is a fantastic villa, particularly for just two of us – very roomy, new construction and appliances, pleasant pool and, best of all, wonderful views of Gustavia, Saba, Statia and a bit of St. Kitts. Very highly recommended. Five-minute walk to Shell Beach (10 minutes back up).